We honour the past, live in the present, and build for the future. Our fraternity has been around for hundreds of years, our members include some of the most distinguished individuals in our communities, and we continue to thrive in a hectic and fast-paced society. We are about more than just business suits and bow ties, we are a fraternity of brothers who work hard to enrich our community, support one another, and improve ourselves. If you are a man looking to improve himself, and form friendships that last a lifetime, welcome! Welcome to the first step of your journey. How this journey unfolds – that’s up to you. 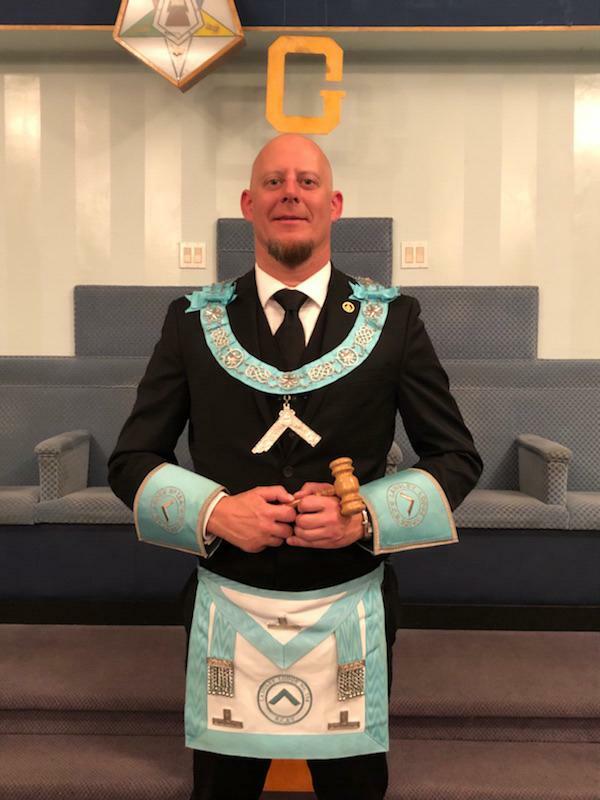 As the Worshipful Master of Langley Masonic Lodge, I would like to welcome you to our website, a resource designed for anyone interested in Freemasonry. Many great men have come before you, and many will come after, all of whom will have had questions they needed answered. We are here to answer any questions you may have in regards to Freemasonry or becoming a Freemason. We try to inform people about what a masonic lodge is, how it operates, and to set straight myths about our fraternity. Freemasonry is found on three universal principles: brotherly love, relief, and truth. Much has been said about our fraternity, some positive and some negative. You can freely read about our history and culture through numerous websites or books, but you’ll be missing the most important aspect of becoming a Freemason: the experience we provide through our unwritten traditions and our ancient rituals. Don’t despair, none of our traditions or rituals will go against your moral fabric. Langley Lodge meets twice per month, September through June at the Eureka Masonic Lodge Hall located at 20701 Fraser Hwy in Langley B.C. Our Regular meetings are held the first and third Thursday of these months. Masonry is about respecting the past, understanding and being in the present, and planning for the future. The goal of Langley Lodge and our Fraternity has always been and always will be to ‘make good men better’. We actively exemplify this ideology by reminding our members of their duties towards their neighbours and communities, and to always be mindful and supportive of those less fortunate, both Mason and non-Masons alike. If this sounds of interest to you, we would like to extend to you an open invitation to learn more and to join our fraternity. We caution you though to not take this step lightly, as this decision has the power to change your life. Contact us and arrange to meet some of our members. We make good men better. © 2015 Langley Masons. All rights reserved.